In terms of 1960’s R&B, there’s fewer voices more pure than Ruby Nash Garnett. The Chart Topping voice of fortune telling circa 1963 celebrates her 76th Birthday this November 12th. Sadly, as the last surviving member of her group, she carries on the flame alone these days. She carries with her not the legacy of being a one-hit wonder, as she and the Romantics continued to place chart entries well through 1965, and continued to record together through 1969. 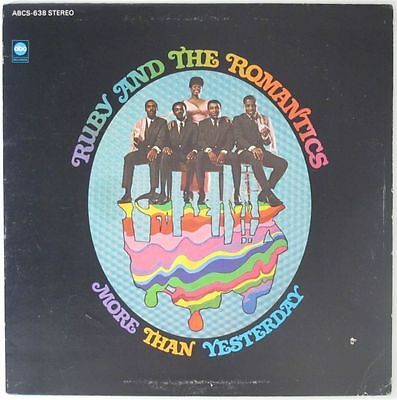 They finally parted ways in 1971, leaving behind a decade of joyful soulful pop in their wake. Granted, most don’t get past their output from 1963, which includes the sublime original version of “Hey There, Lonely Boy (Girl).” But the sophistication of their material kept up with current trends, even if the returns weren’t consistent big hit records. At the center of peerless harmonies courtesy of Leroy, Ed, Ronald and George always sat the twinkle of delight that was Ruby’s voice. They did everything from Motown knock offs, Wall-of-Sound-alikes, and a particularly favorite pit stop, Dionne Warwick parodies with a bit more assertion and weight than the perpetually befuddled Warwick was handed by Burt Bacharach. The surroundings here are Pure Bell Sound on this 1966 release, but at this stage, Dionne never got material that was this lyrically empowered and wise. 2 years before Aretha Franklin got in your face and asked you to “think,” Ruby Nash was asking politely, though the consequences weren’t any less dire.